The Olympic Rings near the Gangneun Coastal Cluster, host of the 2018 Pyeongchang 2018 Winter Olympic Games. SEOUL, South Korea (CNN) - South Korea pressed ahead with talks to include its northern neighbor in next month's Winter Olympics Wednesday, but Seoul's allies are voicing concern Pyongyang may be using the talks to buy time to pursue its weapons program. The US military has moved more firepower to the region and Secretary of State Rex Tillerson warned of complacency at a Tuesday summit in Vancouver where the top diplomats from the United States, Japan, Canada and the United Kingdom were in town to discuss North Korea. Japanese Foreign Minister Taro Kono called on the international community to be clear-eyed about North Korea's motivations for participating in the talks, which have been hailed by some as the most significant thaw in ties in years. "I believe that North Korea wants to buy some time to continue their nuclear and missile programs," Kono said at the meeting. "It's not the time to ease pressure towards North Korea," he said. China denounced the Vancouver talks, and the United Nations Command, under whose framework they are being held as demonstrating "Cold War mentality." "(Such thinking) will only lead to split in the international community and harm the joint efforts that could properly solve the nuclear issue on Korea peninsula," Foreign Ministry spokesman Lu Kang said Wednesday. Officials from both sides of the Korean Peninsula met Wednesday for a third round of talks to discuss North Korea's participation in the Pyeongchang Winter Games next month. The International Olympic Committee is expected to discuss the proposals on Friday. North Korea is planning to send a 140-person orchestra to the Games along with a high-level delegation that will include athletes, a 230-person cheering squad, an art troupe, a visitors' group, a taekwondo demonstration team and a press corps. Two North Korean skaters have qualified for the Games (though it's unclear if they'll be allowed to compete) and the two sides have discussed fielding a joint women's ice hockey team. The Unification Ministry said in an email after talks began Wednesday that North Korea said it had a "rough plan" to also send a delegation to the Paralympic Games, which kick off March 9. The two sides also discussed holding a "joint cultural event" in North Korea at Mount Kumgang, which used to be open to both North and South Koreans, and "using Masikryong Ski Resort," a luxurious winter park which was built after North Korean leader Kim Jong Un took power. South Korea said Wednesday it agreed to repatriate the bodies of four people presumed to be North Koreans. They were found in a capsized boat earlier this month. The US Air Force has deployed six nuclear-capable B-52 bombers to Guam Japanese national broadcaster NHK apologized for sending an alert that incorrectly stated North Korea had launched a ballistic missile, just days after Hawaii had a similar scare. North Korea test-fired two missiles last year that overflew northern Japan. In Vancouver, Tillerson declined an opportunity to clarify whether President Donald Trump has spoken with Kim Jong Un. There's been a growing hope that face-to-face talks could signal the beginning of a broader de-escalation of the nuclear crisis, but there now appears to be a concern among Seoul's allies and partners that North Korea might be playing them for time. John Park, the director of the Korea Working Group at the Harvard Kennedy School, said viewing the talks as that type of breakthrough is akin to a false positive. "Both Koreas are primarily utilizing the talks for a limited objective -- arranging the participation of a North Korean delegation in the Pyeongchang Winter Olympics," Park said. Opponents of South Korean President Moon Jae-in's current willingness to host North Koreans at the Games worry Seoul is giving Pyongyang a chance to show off their best and brightest on a world stage without making any concessions or even discussing the issue that concerns the international community the most: its nuclear weapons program. At the summit across the Pacific Ocean in Vancouver, Tillerson said he said the current campaign to pressure the Kim Jong Un regime into giving up its nuclear aspirations would continue "until North Korea takes decisive steps to denuclearize." "This is a strategy that has and will require patience, but, thanks to your support, the regime is already facing costs it is having difficulty bearing," he said. South Korea's Foreign Minister Kang Kyung-wha said the talks were a "significant step" but acknowledged the serious challenges ahead: "Despite these overtures to improve relations with the South, North Korea has yet to show any intention to fulfill its international obligations regarding denuclearization." Many security analysts are expecting North Korea to resume its nuclear weapons development activities after the games, according to Park of Harvard University. Some hope that the inter-Korean meetings that began last week -- the first of their kind in more than two years -- while starting with less contentious issue like sport, would provide a forum or help cultivate personal relationships that could lead to broader negotiations in the future. 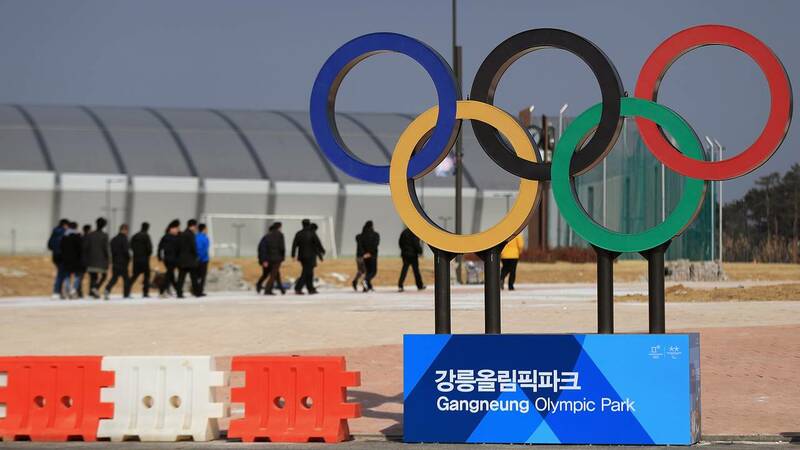 Washington and Seoul opted to postpone their annual military exercises until after the Olympics, which analysts believe was done in the hope the Games go smoothly. However, North Korea has remained adamant throughout this year's thaw in relations with South Korea that its nuclear bombs and ballistic missiles are here to stay. Even a mention of North Korea's nuclear weapons program by South Korean negotiators drew the ire of North Korean officials when the landmark talks kicked off last week, the South Korean Unification Ministry said. "This fact that South Korea is trying so hard to achieve our participation of the Winter Games clearly reveals their wicked intent of leading us into giving up nuclear weapons," North Korean state media said in a piece published Sunday. North Korea also hasn't let up on its anti-US rhetoric. On Tuesday, state news agency KCNA mocked US President Donald Trump, referencing a recent tweet as the "spasm of a lunatic." While welcoming talks and suspending military drills, the United States announced it has deployed six nuclear-capable B-52 Stratofortress bombers to Guam, a move likely to stoke fear and anger among North Korea's military leaders. The US Air Force said the deployment is part of the US military's effort to maintain a "continuous bomber presence" in the Pacific, but the B-52s are replacing B-1 Lancers, bombers that are not designed to carry nuclear weapons.